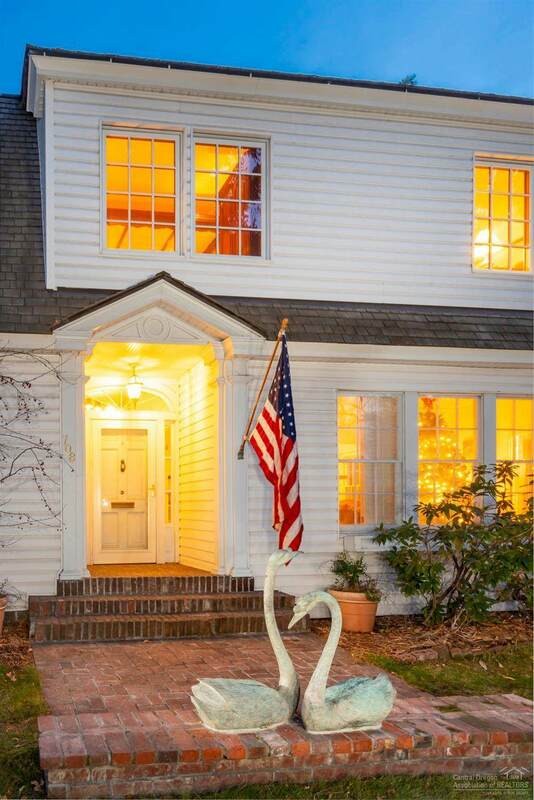 A classic Dutch Colonial Revival design that was originally built in 1921 and totally remodeled & updated in 2001 to include a two story addition w/guest quarters, a greenhouse/solarium and large 701 sq ft garage. 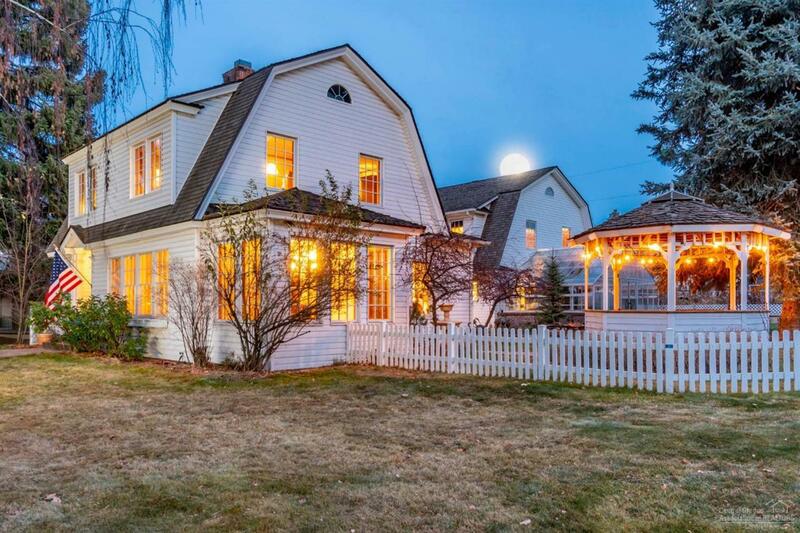 A perfect location and picturesque setting on an expansive corner lot across from Drake Park with views of the Deschutes River's Mirror Pond from the custom built gazebo. This warm and accommodating home has been lovingly cared for thru the years and the flexible 3651 sq ft 4 bdr, 3 bath floor plan offers room & space for everyone. The inviting chef's kitchen opens to a grand library/dining room w/french doors.